Present state: The station has been demolished with no evidence remaining apart from the embankment and the stationmaster's house..
Notes: Coningsby station was sited on an embankment and comprised two timber platforms each with a timber waiting room with a canopy. A single-storey red brick booking office stood at the west end of the down platform, it was similar in design to the others on the New Line. A signalbox at the east end of the up platform controlled access to the goods yard which was on the opposite side of the line and comprised a single siding running parallel with the main line..
During World War II Coningsby took deliveries from munitions trains several times a week. These consisted of considerable amounts of bombs and ammunition for the nearby RAF Coningsby. Coningsby lost its goods facilities on 30th March 1964. The station became unstaffed on 7th October, 1968 and final closure was on 5th October 1970; the station canopies were removed before closure. The station was quickly demolished. 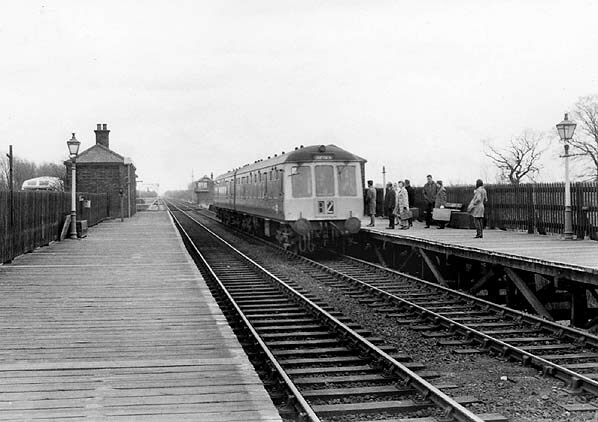 The section of the Lincolnshire loop line between Woodhall Junction and Boston was closed to passengers and goods on 17th June, 1963 shortly before the Beeching closures leaving a service from Lincoln over the loop line to Woodhall Junction and then via the 'new line' to Firsby. Little Steeping station between Bellwater Junction and Firsby had already closed on 11th September 1961. British Railways also suggested the closure of the Lincoln to Skegness line to take effect from 6th June, 1964. This would have seen the closure of the New Line as well as the remainder of the Lincoln to Boston line. With the Grimsby to Boston line also under threat the biggest local enquiry held by the Transport Users’ Consultative Committee took place in Skegness on 15th and 16th September, 1964 to hear objections to the proposals. British Railways board should re-examine its proposals. This it did and in due course once again proposed closure, this time with the exception of the Skegness line. A second TUCC inquiry was held at Skegness in May 1968, lasting for two days. The findings were again submitted to the Transport Minister who this time supported the Board’s proposals. He felt that costs of retaining the existing rail services in Lincolnshire could not be justified because of the low usage and the considerable route mileage involved. 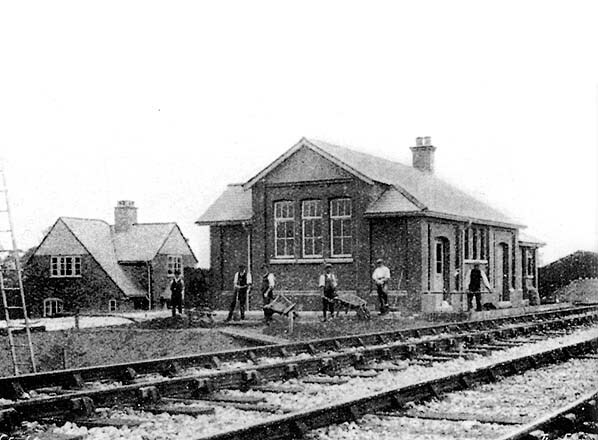 Coningsby booking office in 1913 before opening, the stationmaster's house is seen on the left. 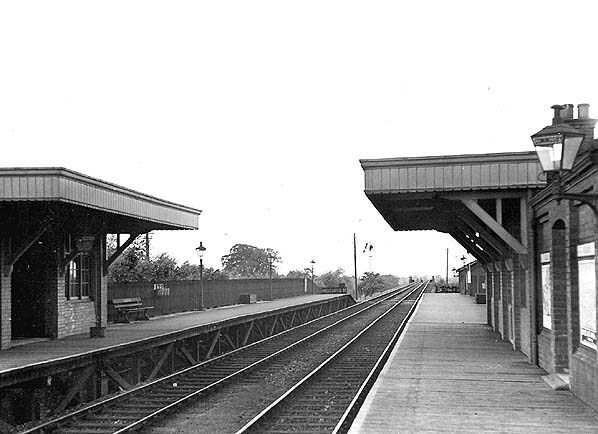 Coningsby station looking west in 1939. Coningsby station looking east in March 1970, note the canopy on the station building has been removed by this date. 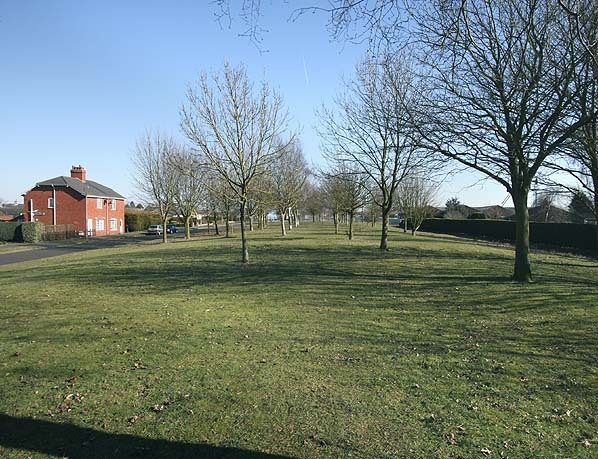 The site of Coningsby station looking east in March 2010.